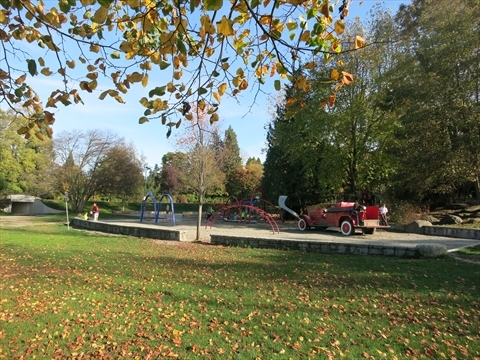 Ceperley Park is an area within Stanley Park next to Second Beach. It is also frequently called Ceperley Field. It is right behind Second Beach and next to the Second Beach Outdoor Swimming Pool and concession stand. 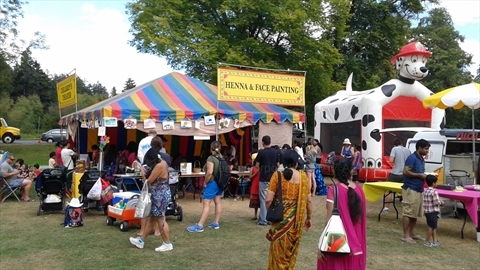 The area is home to a large grass field, 2 large playgrounds, a basketball court, a reservable picnic area, and the Air India Memorial. 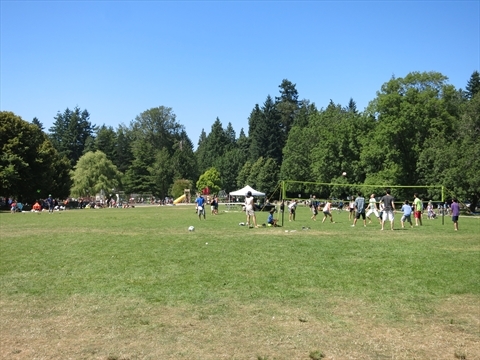 Ceperley Park is one of the busiest parts of Stanley Park. Ceperley Park is frequently used as the staging ground for many events, e.g. runs, walks, triathlons, etc., because of the large field. 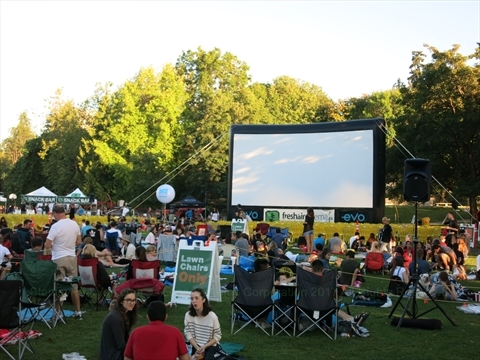 During the summer it is one of Vancouver's favourite picnic areas for families because of it's proximity to the beach, pool, playgrounds, and concession stand. There are some picnic tables that can be used on a first-come, first-serve basis as well as a reservable picnic shelter area which has some cooking facilities. 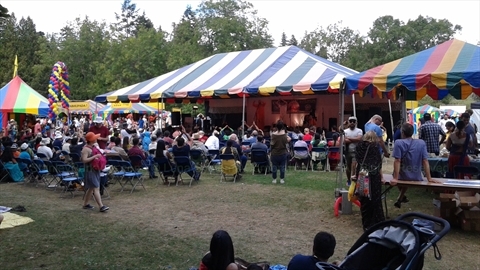 Popular seasonal activities such as Movies in Stanley Park and Dancing in Stanley Park take place at Ceperley Park. Ceperley Park is also the location of the Air India Memorial. This is a memorial to the many people who lost their lives on an Air India flight due to terrorism. 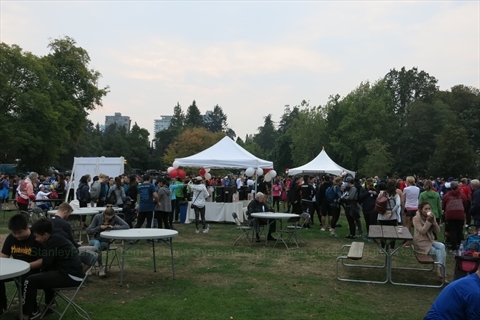 Who is Ceperley Park in Stanley Park Named After? Ceperley Park is named after Grace Ceperley who donated money to create the original playground in the park. There is a plaque honouring her located on the side of the building just above the playground. For more information: Grace Ceperley Plaque. Where is Ceperley Park in Stanley Park? 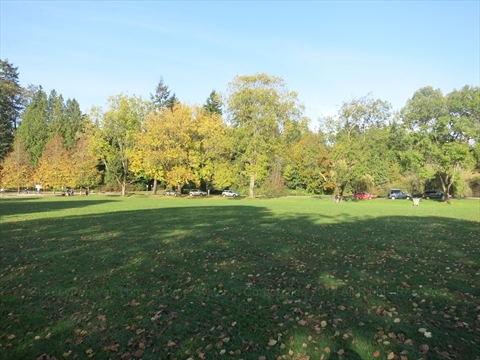 Ceperley Park is located about 1 kilometer west into Stanley Park from the Beach Avenue entrance at English Bay. It is located directly in front of Second Beach and the Second Beach Outdoor Swimming Pool. You can also walk in (about 10 minutes) on the seawall from English Bay. 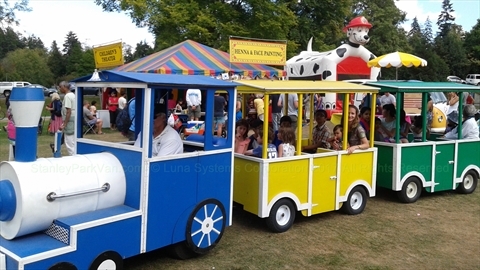 How do I get to Ceperley Park by Driving? To get to Ceperley Park in Stanley Park by driving you must enter Stanley Park from the Beach Avenue entrance headed west. Continue into Stanley Park without turning for a few hundred metres and Ceperley Park will be on your left. At this point Beach Avenue has turned into Stanley Park Drive. Note by the time you reach Ceperley Park there is only limited street parking...see parking information below..otherwise you will need to go a long way around to get back to parking. 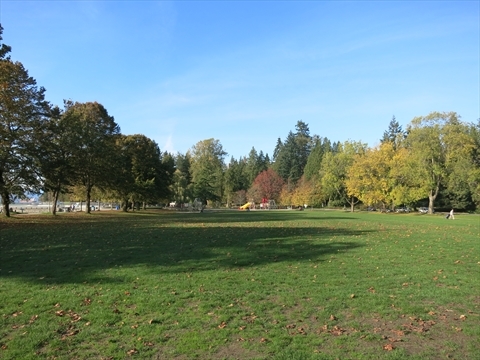 Where can I park near Ceperley Park in Stanley Park? How do I get to Ceperley Park by Bicycle? There are 2 primary ways to get to Ceperley Park in Stanley Park by bicycle. 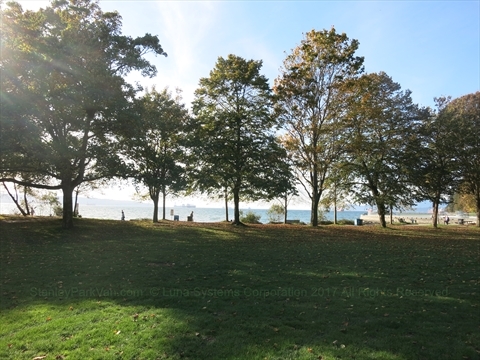 The main route is to head west on the bicycle path which runs right beside Beach Avenue at English Bay for a few hundred metres and the bicycle path goes right through Ceperley Park. Alternatively, if you are coming from the north, you can take the bicycle path which runs beside Lost Lagoon, then past the Ted and Mary Greig Rhododendron Garden, then through Ceperley Meadow, then through the tunnel into Ceperley Park. How do I get to Ceperley Park by Walking? There are 2 primary ways to get to Ceperley Park in Stanley Park by walking. 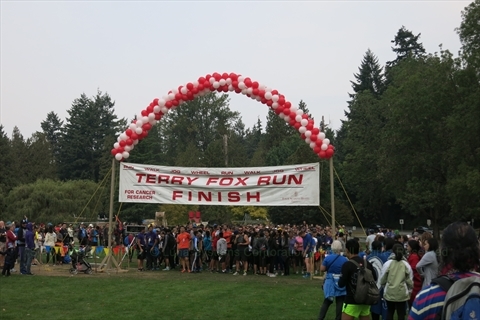 The main route is to head west on the English Bay Seawall from English Bay for a few hundred metres. The seawall goes right in front of Ceperley Park. Alternatively, if you are coming from the north, you can take the walking path which runs beside Lost Lagoon, then past the Ted and Mary Greig Rhododendron Garden, then over the bridge at the Duck Pond, then left onto the walking path through Ceperley Meadow, then directly into Ceperley Park.